Dr. Maercks transformed my appearance overnight! Hypotrichosis is a medical condition that can result in abnormal hair patterns, inadequate hair or no hair growth. This condition can manifest itself in short or sparse eyelashes. Prominent and preeminent Miami Beach cosmetic surgeon Rian Maercks now offers Latisse, a medication made by Allergan, Inc., which typically results in fuller, more colorful and longer eyelashes. The use of Latisse results in a dramatic improvement for the vast majority of patients who use the product. Latisse is applied by the patient nightly on the base of the upper eyelid, resulting in fuller, healthier eyelashes within a matter of months. The patient brushes the medication on the base of the upper eyelid, from the inner area outward. The medication, made with bimatoprost ophthalmic solution, typically results in fuller, darker and longer eyelashes within 8 to 12 weeks for most patients. 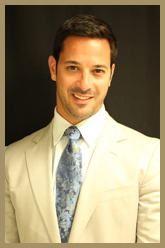 Dr. Rian Maercks is one of Miami Beach’s most-esteemed cosmetic surgeons. His detailed and well-rounded approach to plastic surgery has made him the top choice for Miami Beach cosmetic surgery patients. He offers a wide range of procedures for both male and female patients to enhance their looks, subtly altering their appearances for results that appear natural, and not obvious at all. From breast augmentation to liposuction to facelifts, Dr. Maercks helps patients look and feel more confident and attractive.